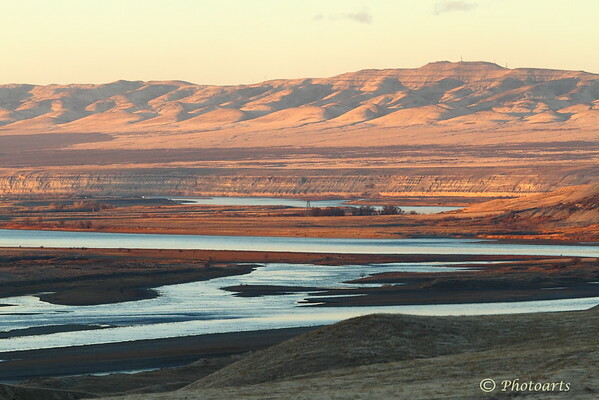 Mighty Columbia river flows near Hanford Reach National Monument in Central Washington State. Once shrouded in secrets during WWII for production of plutonium, now it is home to unique wildlife and amazing vistas. Thousands of migratory birds appear as little dots on the river. I like the lines crossing the image at various points...great landscape! Good that the original military use preserved the wildlife habitat ! Wonderful landscape, fine composition too !! Wonderful shot and I love the hills!